Sporting events are a great opportunity to strike up a conversation with a fellow enthusiast before the game starts off at half time. Chat to each other about your work and career ambitions. You never know what the other might be able to do to help. Not only is volunteering great for the soul but it is a great way to meet new, like minded people. Anything counts as networking and it doesn’t have to be something directly related to your industry of choice. The more diverse your pool of interaction the better, plus volunteering looks great on your resume. 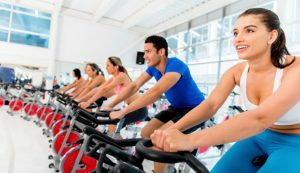 Go for a group hike or enroll in a spin class. You never know who you’re going to meet and as an added bonus you’re getting fitter and healthier. It’s not the way I’d like people to remember me, all sweaty and red faced but if you’re into your exercise why not just swap your hour on the treadmill for a group activity. Vacations are supposed to be about rest and relaxation, we know this but there’s no reason why you can’t strike up a conversation with a fellow holiday-goer while sipping a cocktail by the pool. It might just be the most valuable conversation you’ve ever started. Nobody really likes school events, do they? Think of them as an opportunity to rub shoulders with other parents whether it be at a parent-teacher meeting or sports-day. Think of the wealth of different people and different industries you have the chance to meet. Whatever floats your boat, whatever hobby or past time gets your juices flowing use them to your professional advantage. 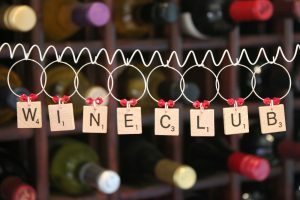 Book clubs, wine tasting groups, comic-con conventions, if there are people there it is a networking opportunity. Remember, networking is simply forming new relationships whether in business or social life. Any opportunity for interacting with new people should be considered networking. So what you waiting for, strike up a conversation. Tagged under: groups,	network,	networking,	past-time,	social.